Daisy Ridley has been out and about this week promoting her new film The Eagle Huntress, a documentary she narrates, and of course there has been a lot of Star Wars talk. 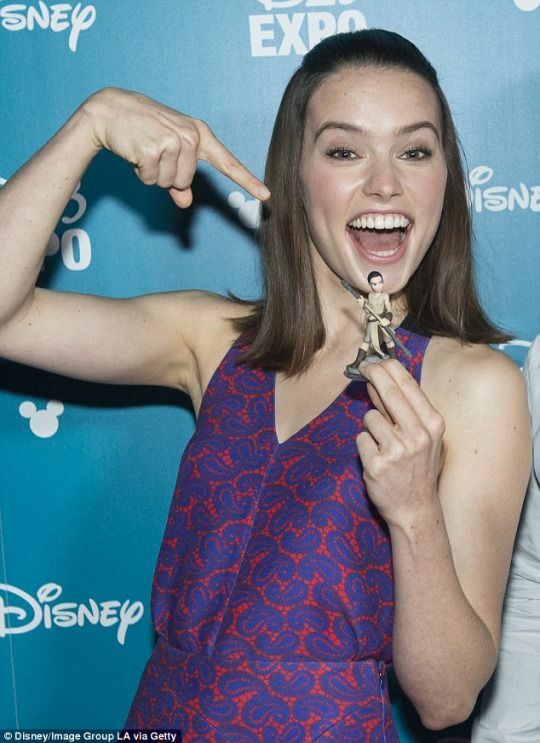 At a screening of The Eagle Huntress in LA, Ridley was asked by press about a the lack of Rey toys following the release of The Force Awakens, as well as fan theories about who Rey's parents might be. “I mean, I think historically it wouldn’t work, because she is … Darth Vader is there … so she would ultimately be my great-grandma; no, she would be my grandma. I mean it could happen, especially in a galaxy far, far away." You can read the entire interviews Ridley over at Collider and Vulture. The Eagle Huntress looks like it will be an amazing film. And it totally suits that Daisy - who has become such a positive force for young girls and women everywhere - is involved with it.